According to the “Milk-Bone Human-Canine Health Study” - a survey of 3,000 U.S. dog parents conducted by Milk-Bone brand dog treats (in conjunction with Learndipity Data Insights) - pet parents who include their pups in family health routines lead healthier lives. In fact, 55% of dog parents say their lives are “full of happiness and joy,” compared to 39% of non-dog parents. 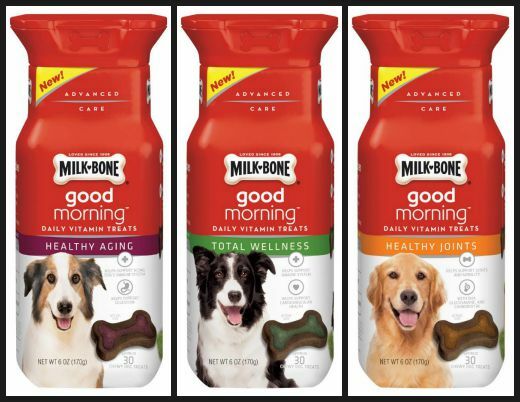 Milk-Bone's Good Morning Daily Vitamin Treats provide beneficial nutrients not found in most dog foods. Dogs give us so much love that they deserve more than ordinary treats. They deserve treats with benefits. • 24% pet parents give their dog vitamins, food, or treats at the same time that they eat or take vitamins• 45% of dog parents report being “active, fit, and healthy” versus 29% of non-dog parents.• 44% of dog parents have a “healthy structure and daily routine” - like for morning vitamins - compared to 33% of non-dog parents. • 55% of dog parents say their lives are “full of happiness and joy” compared to 39% of non-dog lovers.• 54% of dog parents report “feeling loved” while only 35% of non-dog parents do. Here are some extra tips to ensure that the entire family - including Fido - is healthy and well. Good health is important not just for us humans, but for our beloved pets - like Fido too. We all need daily exercise and of course lots of love and affection. 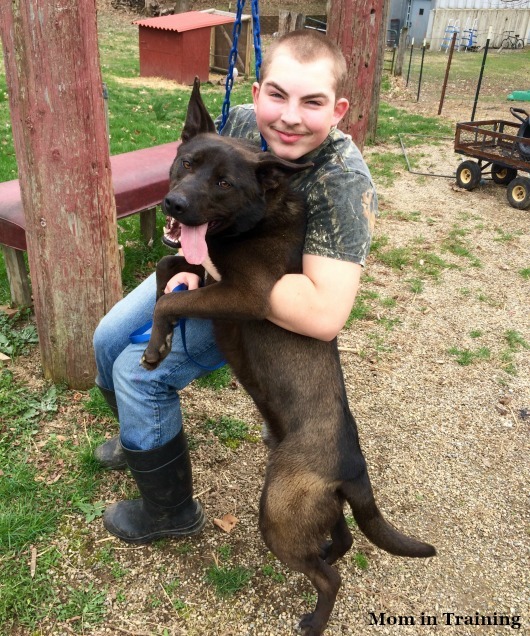 How do you keep your pets healthy and show you love them? I'd love to try the Healthy Joints one for my dog. She's older and could use help in the joint area! My Labrador does not eat meat. We give him oats mixed with water or milk. He doesn't eat bones, and we slip yeast tablets into his food a couple of times a week. At five, he is very fit and healthy, thought the oats do give him bad wind from time to time. I take him swimming every weekend which he adores. That is unless the label states specifically that it is whole-foods based.blueberry extract for supplement That is why it's important to read the labels.